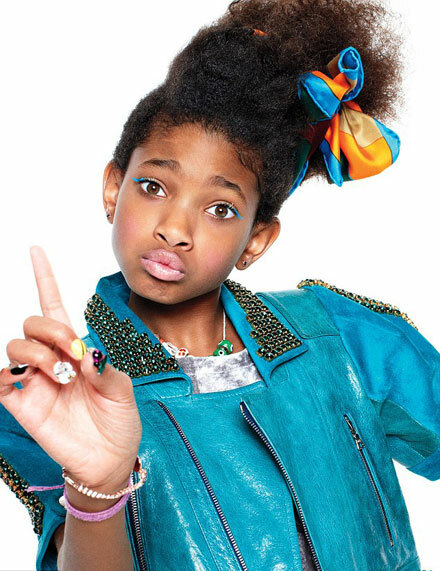 Kid sensation Willow Smith has landed her first ever Teen Vogue photoshoot at a tender age of 10! In her interview for Teen Vogue March 2011 Willow talks about different stuff, from her debut smashing hit ‘Whip My Hair’ and its message to fans, to her main inspirations, fashion & style, her family, and fellow global sensation Justin Bieber (Willow joins JB on the European leg of his world tour in March). Willow tells Teen Vogue that unlike millions and million of teenage girls around the world, she doesn’t have the Bieber Fever. Justin’s like my big brother. I don’t have a crush on him,” Willow Smith explained. Well, I bet all you JB fans are waiting for Selena Gomez to say the same, aren’t you?